This article is the third in a series about managing finances for beginners. You’ve already learnt how to easily set up and stick to a budget and how to get rid of debt. 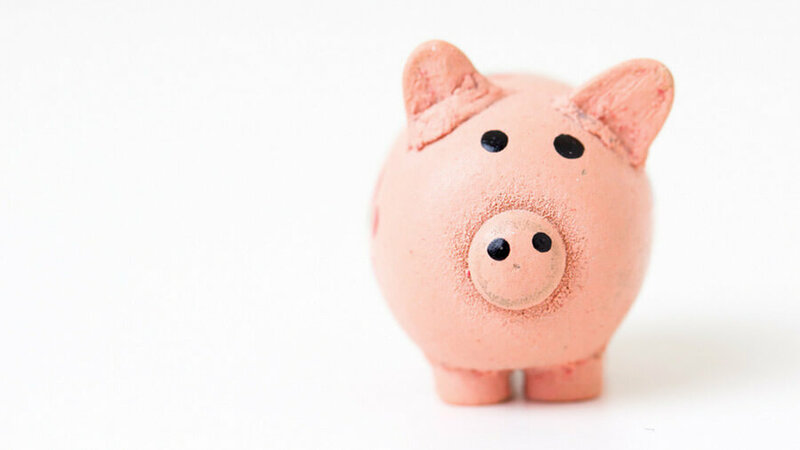 Here’s our guide to borrowing money sensibly. If you’re considering borrowing money, whether it’s with a credit card, loan, overdraft or even a store card, follow our advice to make sure your debt doesn’t get out of control. Before you borrow you need to understand exactly what kind of contract you are entering into. If you don’t know your APR from your Secured Loans or how to avoid Loan Sharks (they’re as bad as they sound), read on. Could you wait until you’ve saved up instead? Can you afford to pay the money back? Is there a cheaper way to buy what you need? Overdraft – gives you short-term access to money when you need it. You usually have to pay a daily overdraft fee until you pay the money back in full. A planned overdraft is where you agree a borrowing limit with your bank in advance. An unplanned overdraft is when you spend more than your agreed limit and as a result usually have to pay a higher daily fee. Overdrafts are not good for borrowing large amounts but are helpful if you need a little extra at the end of the month. Just be wary of paying it off as soon as possible, as the fees can add up quickly. Credit card – normally used for short-term borrowing for everyday items like groceries and petrol, or to spread the cost of larger items like holidays or a new TV. Credit cards can be used to make purchases online or in store and can also be used to consolidate debt from other credit or store cards. Most banks offer flexible repayment options, which can be agreed in advance. Note: If you only pay the minimum fee on your credit card each month, it can take decades to pay off the total debt as more and more interest is added to the total amount. Always pay off as much as you can manage. Personal loans – can be used if you want to borrow a lump sum and pay it off in smaller chunks. Personal loans are best for things like a new car, kitchen, or a family wedding. They can also be used to consolidate lots of existing debts into one monthly payment (by borrowing a lump sum to pay off all of your debts, and then only paying off your personal loan each month). Mortgages – where a person borrows money to buy property and the lender can take possession of the property if you fail to repay. If you mortgage your house you use it as a guarantee in order to borrow money. You may be tempted to get a quick loan, but this is not always best. Remember that whatever deal you get, you could be paying it for years to come. So don’t settle until you’re absolutely sure you need the loan, understand the deal you are getting and can afford to make the repayments. Interest – the price you pay for borrowing money. Simple interest, or flat-rate interest, is calculated as a percentage of a loan’s original balance. No matter how long a borrower goes without paying a debt, the interest will still be calculated from the original amount. Compound interest is where interest is added to the original balance. Think of it as interest on interest. APR – Annual Percentage Rate means the interest rate for a whole year, rather than just a monthly fee. APR combines the total amount of interest payable and the cost of other fees and charges, averaged over the term of the loan and expressed as a percentage. Interest free deals – these are short-term loans where you don’t need to pay interest if you pay them off within a certain time period. Be extremely careful of these – if you don’t pay them off in time the interest and fees you will have to pay as a result can be huge. Payment holidays – payment holidays are where you are allowed to stop making payments for a short term. Unfortunately you will be charged interest once you start paying again and will end up paying even more in the long term. Secured loan – A mortgage is an example of a secured loan. It means your loan is backed by an asset, such as your house. If you don’t repay the loan, the lender can repossess the asset. When lenders repossess property, they sell it and use the proceeds to pay off the loan. If the property doesn’t sell for enough money to completely cover the loan, you will be responsible for paying the difference. Unsecured loan – An unsecured loan isn’t tied to any of your assets. Examples include credit cards and personal loans. You usually need a good credit score to get an unsecured loan. Credit score – Your credit score is a number that predicts how likely you are to repay your debts, based on your previous borrowing history. Look out for our next article in the series, which explains how to get a good credit score.